Online casinos often entice new players with sign up bonuses as part of their very generous welcome package deals, but one thing many people are often unprepared for is the attached terms and conditions set in the fine print. This page explains what wagering requirements are and how you can get around them to withdraw your winnings in a timely manner. Wagering requirements, also commonly called playthrough requirements or roll-over rates, are special conditions attached to sign-up bonuses or player promotions you may redeem at real money casino sites. They are located in the fine print and are easily missed, but it is extremely crucial every online casino player takes the time to scout them out and understand them. Wagering requirements stipulate how much real money a player needs to play through before being allowed to withdraw any potential winnings or leftover bonus credits in a process called clearing. Players play through the bonuses credited to their account balance along with any real money deposits they made several times over in order to meet the casino’s minimum wagering limit. Essentially, if you win any money from your bonus, you need to make a deposit and play a certain number of games before you can cash out successfully. Wagering requirements are usually a multiple of 5x or 10x, based on your no deposit bonus amount and subsequent deposit amount, totaling to the amount you actually need to wager at the casino before you can withdraw your winnings. There is no industry standard wagering requirement limit, but many of the real money casino sites we recommend to our readers tend to set it anywhere between 25X to 40X. For example: An online casino has a 30X wagering requirement attached to its no-deposit sign up bonus of $25, so a new player must play through the amount of their bonus 30 times before they are allowed to withdraw any potential earnings or any of the bonus balance credited to their account. In this example, they would need to wager through a total of $750 ($25 x 30 = 750). All types of welcome packages, whether they are no-deposit or matched deposit bonuses, can have wagering requirements attached to them, so do not ever assume anything and always make sure to read the terms and conditions of each and every bonus you decide to take advantage of. Wagering requirements are a bit of an annoyance, but there is good reason these restrictions are implemented. If they did not exist, players would simply take advantage of an online casino’s bonus and run away with free money they did not actually win. In the early days of Internet gambling, this actually was a common occurrence, so casino website operators were forced to impose such limitations to avoid being exploited or manipulated by devious gamblers. Many savvy gamblers also used to take a 100% welcome bonus of anywhere around £/$100 – 1,000 and bet it all on baccarat or roulette to double their account balance as quickly as they could, then wager small on the slots to slowly and steadily meet the remaining wagering requirements. Online casino operators quickly recognised this style of play and added further restrictions to discourage or outright prevent it. In the modern Internet era, many real money casino sites offer no-deposit bonuses that do not even require players to deposit any money to redeem them. These are attractive one-off bonuses that are essentially the casino giving you free cash to try out their gaming services, so it’s only natural any attached wagering requirements are there to ensure people do not just sign up for the free cash and run off, or make multiple new accounts to avoid depositing any of their own money. It does not just exist to screw us over, essentially. 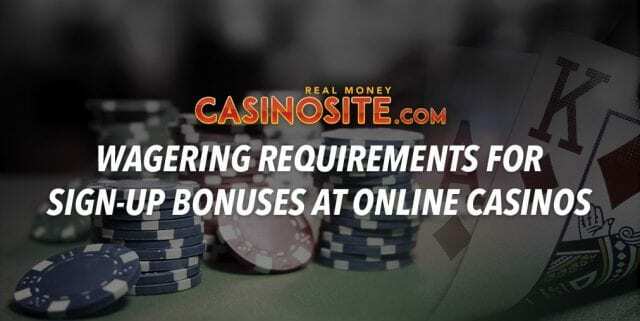 Some online casinos have opted to restructure their existing bonuses to make them wager-free for players. BGO.com has recently updated their welcome bonus to offer 50 fair spins (called fair spins to comply with new UK online casino advertising rules) to all new sign-ups upon their first-deposit, with no wagering requirements attached. This means players can withdraw any winnings they may earn from their awarded free spins without have to clear playthrough requirements, which is a welcome change – we hope to see more real money casino sites adopt this frame-work soon. Generally, we recommend favouring casino sites with lower playthrough requirements, but sometimes their games range or bonuses might not appeal to certain players. In that case, we encourage our readers to do their research and visit our in-depth casino reviews individually linked above for further information on what each casino we recommend has to offer. Double check the terms and conditions of each and every casino site you play at to keep up-to-date with any changes to wagering requirements. Many casinos tend to change the limit based on new bonuses they introduce or old ones they update, and others even impose additional conditions to meet: Joe Fortune, for example, gives players 30 days to clear their wagering requirements on their welcome bonus, and if they do not, the bonus balance expires and it is considered forfeit. We generally don’t recommend playing at such sites if you are the type of player who likes to take their time betting or might not have a large bankroll to burn through just to enjoy the fruits of their big welcome bonus. Every online casino site has different wagering requirements, so unfortunately there is no industry standard when it comes to mapping out which real money casino games contribute more towards your playthrough limit. However, online slots almost always contributes 100% towards your wagering requirements thanks to its massive popularity, which is great for fans of the reels. Popular table games like baccarat, blackjack and roulette tend to be heavily reduced to sit around the 5% to 20% mark, and niche games like craps or Sic Bo excluded altogether. For example, Ignition Casino counts all online slots and specialty games to contribute 100% towards playthrough requirements for its welcome bonus, but table games only count 20% and all forms of baccarat, blackjack, roulette and video poker under 10%. 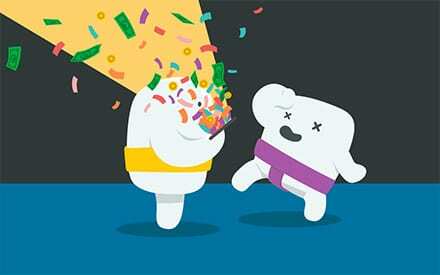 They have slightly different conditions for all their other bonuses, which change table games to 60%. Make sure to contact your preferred real money casino site directly and ask for their wagering contribution and percentage charts for exact figures, so you can remain on top of how much you need to bet before you can withdraw your hard-earned winnings. 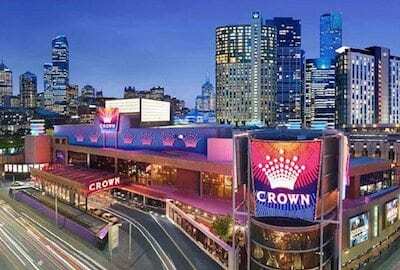 Could Australia’s Crown Resorts really be sold to Wynn Resorts?